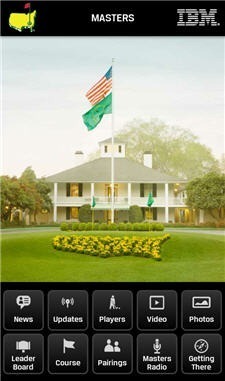 The Masters Golf Tournament gets underway next week and once again will allow Android users to watch the tournament live on their phones. 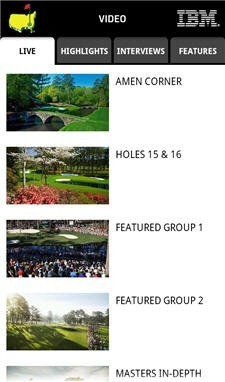 All the features from previous editions are back including news feed, updates, player profiles, leaderboard, pairings (updated daily), and even directions to Augusta National if you are planning on attending the tournament. 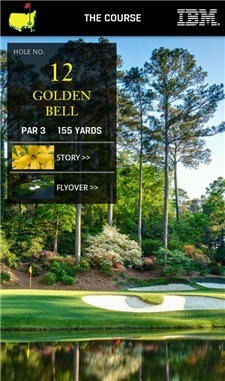 Among the wonderful features of the app are the wonderful course fly-overs and hole-by-hole descriptions and stories which are accompanied by breathtaking photography. 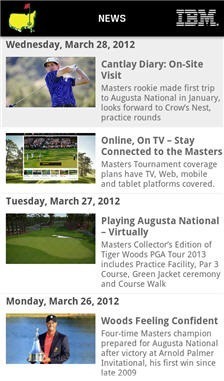 One the video tab you’ll find not only the live streams, but highlights, post-round interviews and new conferences, and other featured videos. 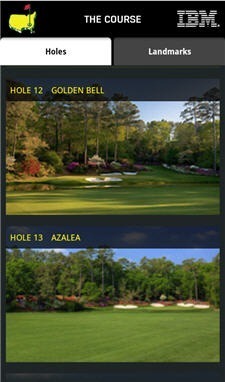 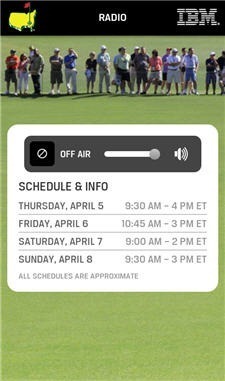 If you aren’t able to watch the coverage, you might like to try listening to Masters Radio.